The Las Vegas Convention and Visitors Authority board of directors approved a race sponsorship agreement with the track and parent company Speedway Motorsports Inc. on Wednesday. Gov. 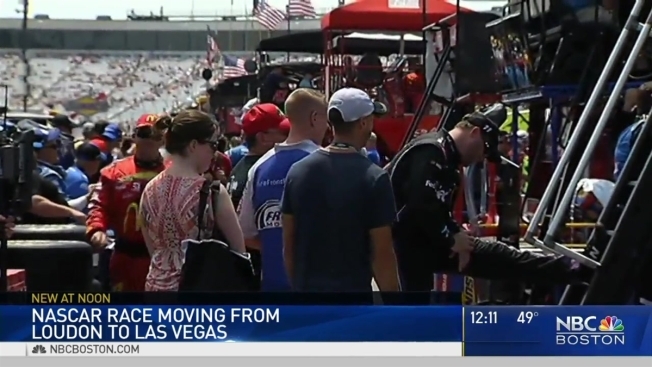 Chris Sununu says although he's disappointed by news that the state is losing a top-tier NASCAR race to Las Vegas, the New Hampshire Motor Speedway remains a key player in the state's tourism industry. Sununu, a Republican, says the state looks forward to welcoming race fans to the track at Loudon in July and partnering with the New Hampshire Motor Speedway to identify new events that could call New Hampshire home. The Las Vegas Convention and Visitors Authority board of directors approved a race sponsorship agreement with the track and parent company Speedway Motorsports Inc. on Wednesday. SMI is shifting one of the New England track's two NASCAR Cup Series races to Nevada. The race traditionally has been held in New Hampshire in September. The change takes effect in 2018.